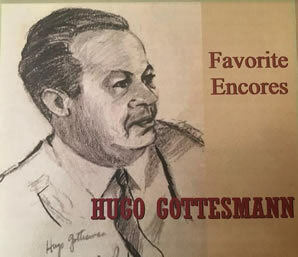 I just read your article in MICHIGAN JEWISH HISTORY on Hugo Gottesmann. Nicely done. Keep putting pen-to-paper, as the people of this state need more interesting stories like this from you. 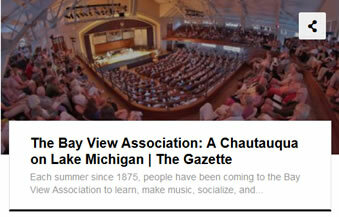 "This book is an admirably researched and written study of a fascinating piece of Americana, and it brings Bay View utterly alive"
Bay View, An American Idea is a history of Bay View, a Chautauqua community in Northern Michigan. It includes stories about Ernest Hemingway's connection to the community, the visit of the Custer family after The Battle of The Little Bighorn, and how Irma Rombauer came to write The Joy of Cooking. Of great interest is the newspaper accounts by the Great Unitarian Paul B. Blanshard and Philosopher Brand Blanshard of their early life in Petoskey and Bay View, as well as the author's account of the women's movement in Petoskey and Bay View. "One of the Best Selling Local Titles"
"A Best Selling Title in NW Michigan"
Bay View is a National Historic Landmark which offered the only college level classes in Northern Michigan until 1959. Today it sponsors the Bay View Music Festival, now the oldest festival in the United States. Copyright (c) Author Mary Jane Doerr All rights reserved.